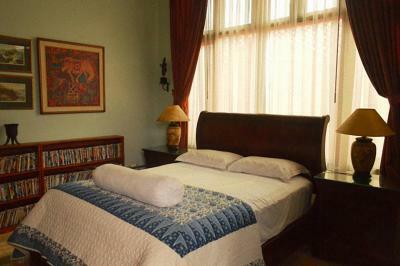 Lock in a great price for Pesona Guest House Jakarta – rated 9.7 by recent guests! We felt like home , Nana made us feel like family ! 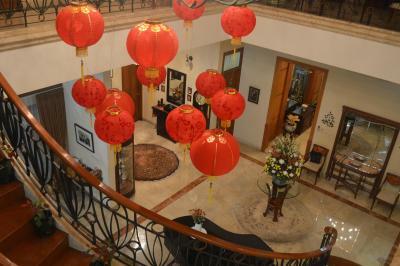 A must stay in guest House if you are ever in Jakarta! went back after the first time and totally enjoyed it. 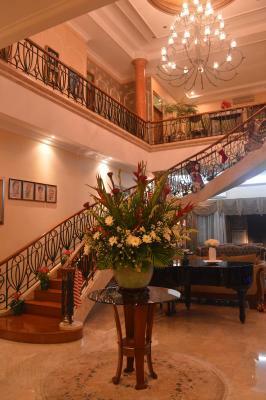 The whole vibe and aura of the place makes you feel rich and lavish. 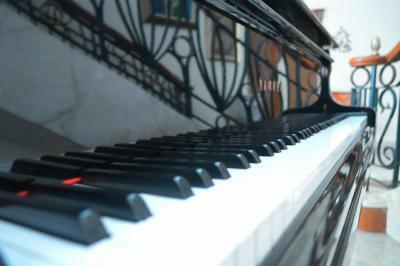 Its relaxing and beautiful. It exceeded all my expectations and the pictures don't do it justice. There is also a wrap around porch with a swing, so you can really enjoy the outdoor air. 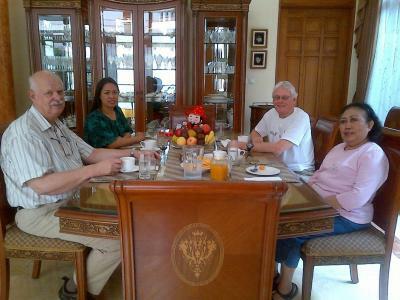 The breakfast was always amazing and I loved meeting the Host and Hostess, Mel and Nana. They re Fabulous people! I could not have asked for a better stay. They went out of their way to accommodate us!!! 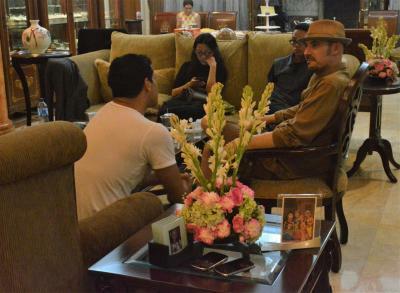 Always a pleasant stay and the only place I will stay and recommend to others for Jakarta. Always a comfortable stay. 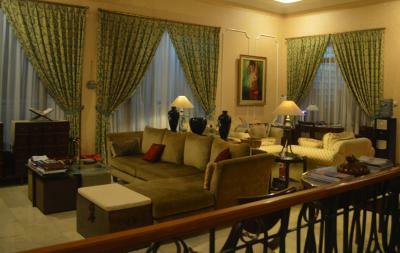 Only place I will stay while in Jakarta.All needs met and always exceed expectations. Absolutely everything! Flowers fresh daily, fabulous staff and hosts. Beautiful in every way. Hostess Nana and her staff were the #1 benefit - lovely lady, and lovely staff that were very attentive to our needs, including getting around. The breakfast was "handmade" and provided according to our schedule, so we did not have to get up early! 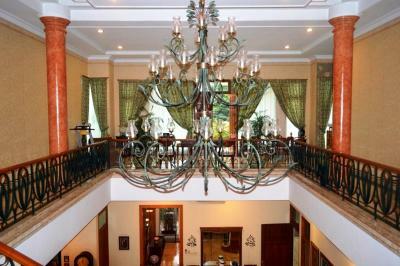 The property itself was very beautiful, and the room pure relaxation. The pool also was very inviting, although we did not have a chance to try it out! Pesona Guest House can also organise various guided tours (we took the batik museum and botanical gardens) which were fantastic! Very comfortable and attentive to needs. 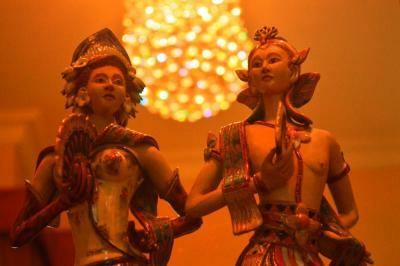 Nana makes it easy to get anything you need right on site if you do not wish to venture out into the Jakarta traffic. It is also nice to have a private entrance onto the balcony. AC is strong...which for me as an American, is a must in Indonesia. Dinner at the house was very good and served at the exact time indicated. The clients, owner and staff exceed expectations. What a hospitality treat! 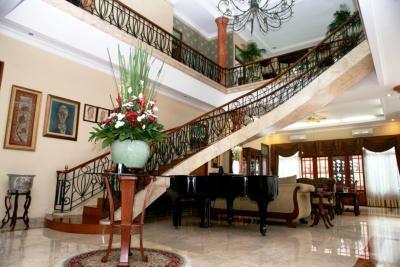 Elegant home with exciting appearance. 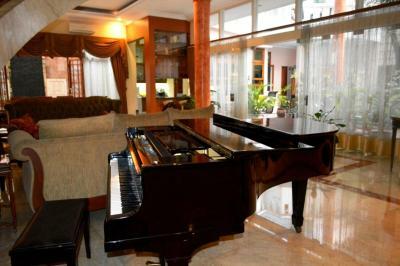 Pesona Guest House Jakarta This rating is a reflection of how the property compares to the industry standard when it comes to price, facilities and services available. It's based on a self-evaluation by the property. Use this rating to help choose your stay! 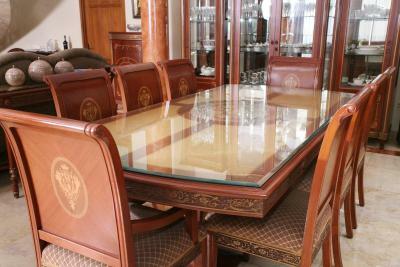 One of our best sellers in Jakarta! 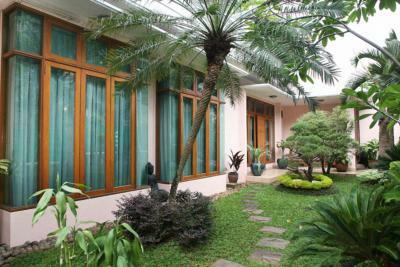 Pesona Guest House Jakarta features an outdoor pool and a shared living area with a flat-screen TV. 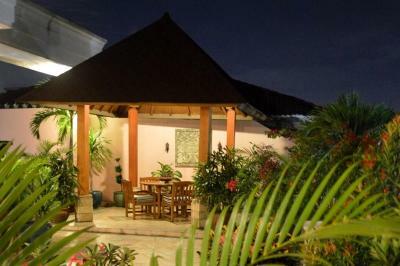 A 10-minute walk from Fatmawati Street, this homely accommodations comes with free Wi-Fi in all areas. Guests who drive enjoy free parking privileges. 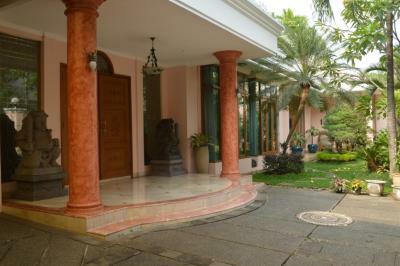 Cipete Raya Street is also a 10-minute walk from Pesona Guest House Jakarta, while various shopping and dining options in Kemang and Blok M areas are within a 15-minute drive away. 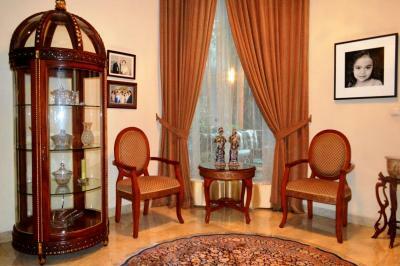 Fully air-conditioned, all rooms include amenities such as a personal safe, writing desk and a satellite TV with DVD player. A private terrace is attached to each room. 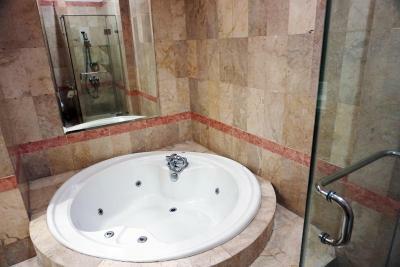 Shower facilities are available in the private bathroom. Car rental is offered for guests who wish to explore the city, while newspapers are provided for those who wish to stay in and relax. 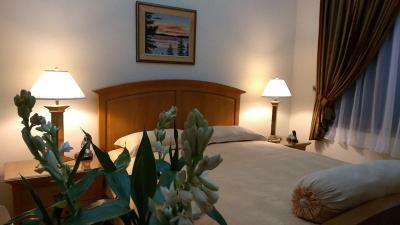 Other on-site conveniences include in-room breakfast, airport shuttle and laundry services. 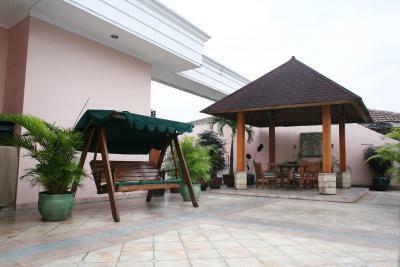 When would you like to stay at Pesona Guest House Jakarta? 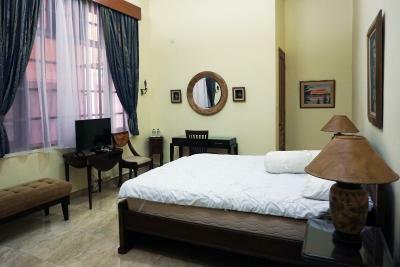 This air-conditioned room is fitted with a safe, writing desk and and a satellite TV with DVD player. 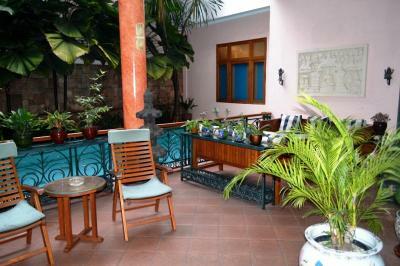 Guests can relax on the private terrace. Private bathroom comes with a separate shower. 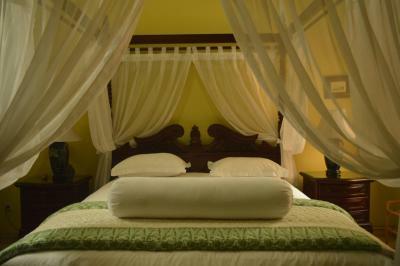 Offering added space, this air-conditioned room features mosquito nets, seating area and a satellite TV with DVD player. Guests can relax on the private terrace. Private bathroom is fitted with a separate shower. 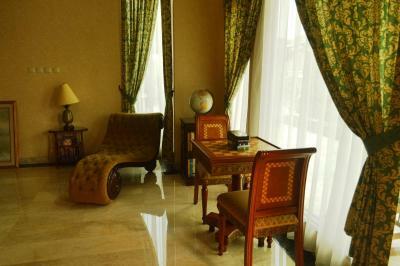 This largest room is fitted with a seating area, air conditioning and a satellite TV with DVD player. 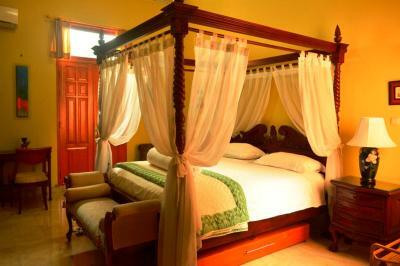 Offering added space, this air-conditioned room features mosquito nets, seating area and a satellite TV with DVD player. Guests can relax on the private terrace. 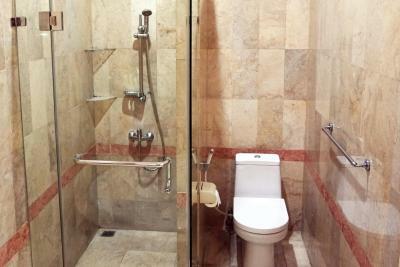 Private bathroom is fitted with a separate shower. This room can accommodate one extra bed. Area Info – This neighborhood is a great choice for travelers interested in entertainment, luxury brand shopping and friendly locals – Check location Great location - show map Guests loved walking around the neighborhood! 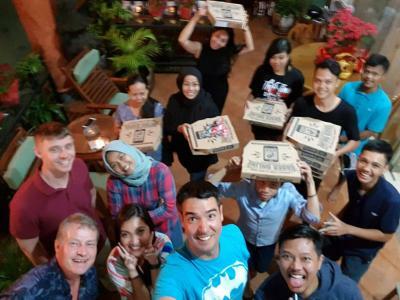 House Rules Pesona Guest House Jakarta takes special requests – add in the next step! 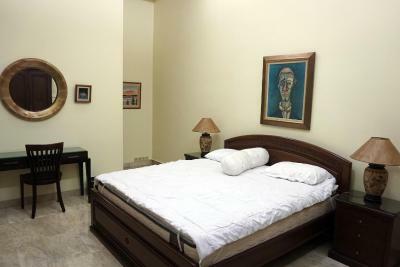 One child under 12 years is charged IDR 120000 per night when using existing beds. 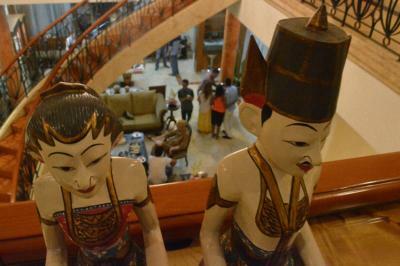 All children under 16 years are charged IDR 120000 per night for extra beds. 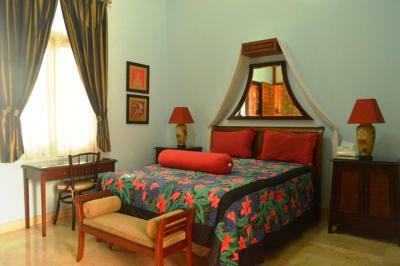 Any additional older children or adults are charged IDR 120000 per night for extra beds. 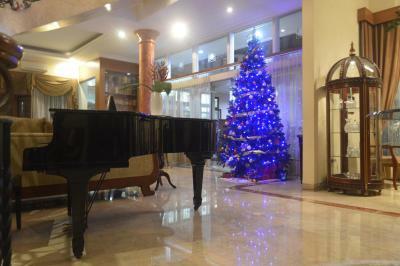 Pesona Guest House Jakarta accepts these cards and reserves the right to temporarily hold an amount prior to arrival. 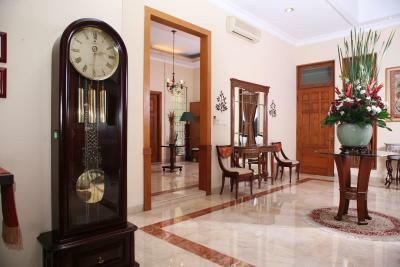 Please inform Pesona Guest House Jakarta of your expected arrival time in advance. You can use the Special Requests box when booking, or contact the property directly using the contact details in your confirmation. no point to complain about it at all. 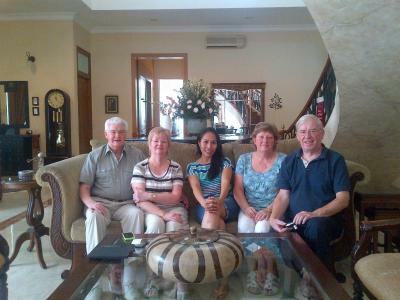 a true experience and what lovely hosts. friendly staff, will def coming back. Booked a room for a friend visiting, and spent quite a lot of time at the the house. The owner and the staff were very hospitable, helpful and professional. The house was very clean and comfortable with many areas for guests to hangout, but still feel calm and quiet. Took a while to get to attractions. Loved everything about the property. Staff were amazing and friendly. Had gluten free pancakes for breakfast. Plenty of space to sit around in the accommodation. Able to have dinner when we arrived late. 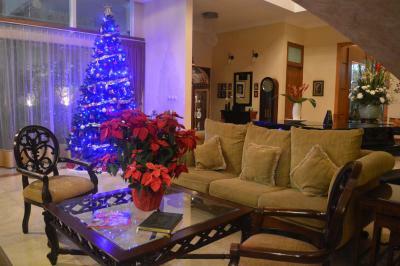 My only complaint is Jakarta is Riddled with traffic and the house is a bit far from central Jakarta. It's easy enough to take a taxi or Motorbike, though just plan about 1hr for traffic. An amazing sanctuary that looks like a stately home/ museum but is still super homely. We felt so welcomed here and they let us keep our room all day till our evening flight which was a huge help. Lots of good restaurants and cafes in walking distance and we felt very safe walking around. A no brainer if you need somewhere to stay in Jakarta. Thank you! Everything, hope we see you soon. 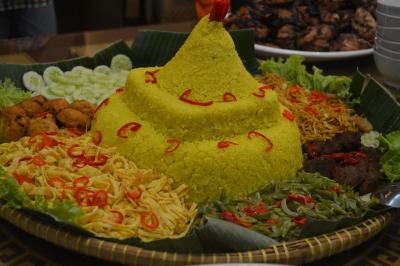 The staff of Pesona is very nice, especially Nana, she arranges everything for the guests and is very flexible with that. She was even joining us when we went to a bar! I had a very nice time during my stay! 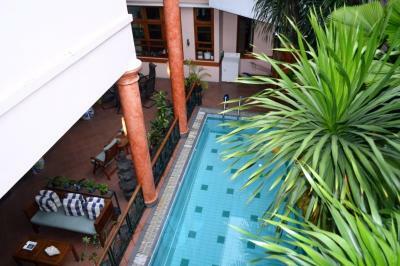 Besides that the place itself is really amazing, beautiful building with good rooms and a nice pool! Everything was of such a high standard it could not be faulted. I wish i could stay there longer, or return back more often. 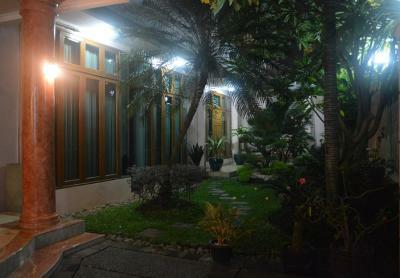 Everything was perfect in Pesona guest house, but what i like the most is the hosts' attitude. Nana and Mel made us feel not like strangers, but like part of the family, expected to return after a long time away from home! 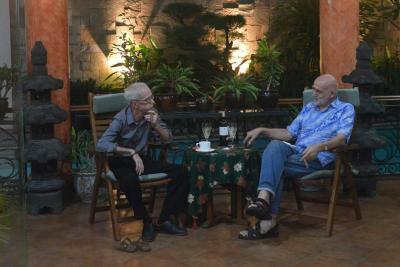 We really enjoyed the nice chats we had with them and the other guest they had. The staff is professional in every aspect. The room was cleaned daily, the breakfast had the taste of a good quality home made food. I loved the bathroom in our room - big bright mirror and a bathtub. High speed wifi, enough for my needs and the pool is big enough for training. The house itself is fantastic, every corner is a piece of art.